Hi everyone! Taylor here with our seventh Recommendation Friday! 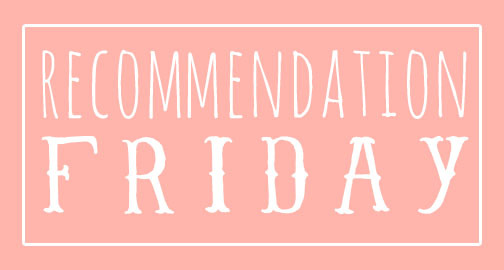 This week I’m recommending a book that’s one of my favorites and I think is really unrated. Anna Dressed in Blood Kendare Blake is about a boy named Cas Lowood who’s in the family business of hunting ghosts. Cas and his mother travel around the country searching for ghosts. When Cas starts hunting a new ghost names Anna, he realizes Anna’s not a normal ghost and everything he thought he knew about the supernatural is about to change. This book is so much fun and so creepy. I love Cas as a main character and the minor characters are just as awesome. This book is super fast paced and the writing is crazy good. I’m not a massive fan of books with supernatural things but Anna Dressed in Blood in one of my favorites. I read this book in 2012 and I still love it. Most books don’t stick with me for a long period of time but Anna Dressed in Blood has stood the test of time and remains one of my favorites books ever. If you’re looking for a fun, creepy, and original book, Anna Dressed in Blood is perfect. And if you’re a fan of the tv show Supernatural, get this book right away because you will love it so much. This book caught my eyes a few years ago, but I was always kind of creeped out to read it! I love reading and watching creepy, paranormal/horror stuff, but in the end I get incredibly paranoid!